The Human adult body on an average consists of 65% of water. Water in the human body performs a number of functions such as a medium for excretion and a means of heat control. Water is the primary building blocks of cells. It carries oxygen and nutrients to cells. It acts as a lubricant for joints and for shock absorption. Health authorities commonly recommend to drink 8-ounce glasses per day. Drinking water on an empty stomach helps in cleansing your bowels. It creates an urge to move the bowel and therefore helps to regulate your digestive track. If you have trouble in going to the bathroom, this is the perfect way to keep the things moving on. It helps in clearing the waste from the body. It helps to flush out the sludge accumulated in the colon, which can help prevent the onset of colon disorders in the future. It also hastens the process of absorption of the nutrients from your meals later during the day. It increases your metabolism rate by almost 25%. An improved metabolism rate ensures that you digest your food faster which helps in losing weight in the long run. Consuming water on an empty stomach can help bring balance to your lymphatic system, a vital part of your immune system. Strong immunity system will make you be safe from any diseases and prevent you from getting sick easily due to the viruses or bacteria. As drinking water helps in clearing your bowels regularly, it makes you feel hungry in the morning. Drinking plenty of water in the morning is the easiest way to get a clear and glowing skin. This is due to the fact that water helps in eliminating toxins from the blood. Drinking water on an empty stomach helps in correcting bowel movements, which may prevent constipation and digestion infections. One of the primary reasons for headache is dehydration. Drinking water prevents dehydration. Thus, starting your day with a glass of water can offset the chances of developing one. Dehydration also has a direct impact on the condition of your hair. The roots of the hair become dry, rough and brittle if they do not receive sufficient amount of water. Drinking water in the morning gives the nutrients for your hair inside and outside, thus making your hair thicker and stronger. Drinking water on empty stomach stimulates red blood cells to populate at a faster rate, which in turn boosts the energy level of the body. 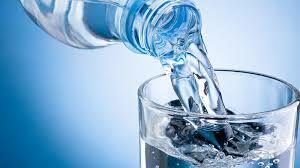 Drinking water on empty stomach prevents the formation of kidney stones. Water dilutes the acids and prevents the formation of stones in the kidney. It also prevents bad odor and other dental problems.